Truth in media is a powerful instrument. As long as we all keep probing, asking questions, looking through the disinformation to find real understanding, then we are in a better position to participate in creating a better world in which truth and accountability trump greed and corruption. After the US began ‘spreading democracy’ there 16 years ago, Afghanistan has become more dangerous, more corrupt, and deadlier than ever. Neocons continues to be a promising alternative. No oil but lots of poppies and valuable land and location. Soviet Russia had dreamed of a Soviet-friendly progressive Afghanistan to protect and secure its vast Islamic regions extending from the Caucuses to the Far East. It failed to quell the ruly, untamable Afghans as Americans cannot still today. Though U.S.-supported Mujahideen could not defeat in battle the Soviet-supported government in Kabul in the 1980s, it at least convinced the Russians to abandon a lost mission and to leave, a lesson that the USA has continued to learn and unlearn for 16 years. On the flimsiest of excuses it too invaded indomitable Afghanistan in 2001 after 11 September … and is still there flailing at windmills, unable to completely abandon another lost war. The Invasion of Afghanistan, October 7, 2001: Did 9/11 Justify the War in Afghanistan? Endless US aggression in Afghanistan has nothing to do with combating terrorism (America supports it), everything to do with controlling the country, using it for oil and gas pipelines, part of encircling Russia and China with US military bases, and plundering vast Afghan mineral riches – likely worth trillions of dollars, a prize corporate predators covet. The US alone claims that it has managed to spend, since the invasion in 2001, between 750 billion and 1.2 trillion dollars. That’s huge, an astronomical amount, even bigger than the entire Marshall Plan after WWII (adjusted to today’s dollar)! But has it been spent to help the Afghan people? Of course not! It has gone mainly into corrupting of ‘elites’ and their offspring, into the military, into the salaries of foreign contractors. Huge military bases were built; some were at some point decommissioned, others were moved somewhere else. Airports were constructed – all of them military ones. Private Western security firms are having a ball. I once calculated that if all that money were to be equally divided between all Afghans, the country would have had a much higher income per capita than relatively affluent Malaysia, for 16 consecutive years! 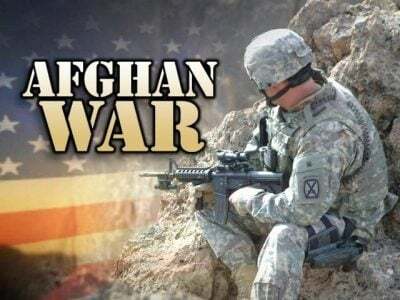 The following article first published in May 2005 provides a background on the history of the Afghan opium trade which continues to this date to be protected by US-NATO occupation forces on behalf of powerful financial interests. Afghanistan’s death toll from the US-led war is placed at 100,000 people. This startling figure sparks the speculation that the US and allies were just watching the people dying over this period. The US-based Brown University’s “Costs of War” study finds that at least 100,000 civilians have lost their lives to the war between 2001 through 2014.